Since 1996, Megaflex has established a worldwide renown for its high quality hose, ducting and tubing. As a company we are dedicated to continually trying to reduce shipping costs and improve shipping times to overseas customers. From the outset, Megaflex Limited have been determined to ensure our products are as easily accessible and economical as possible for our customers, and keep vast amounts of stock as a result. Relentless and ongoing negotiations with our shipping agents continually drive down our carriage costs and therefore charges to ensure our customers receive their goods as fast as possible at the best prices. Too often the unfavourable costs of shipping restricts export of certain products, but our goals are clear and we are making every effort as a company to lower these costs. We cater to a wide range of different markets, including heavy industrial, technology, printing, microprocessing, shower and bath, chemical processing, waste processing, clean water applications and many more! Careful selection and quality sourcing of the best raw materials gives our products the edge over our competitors. 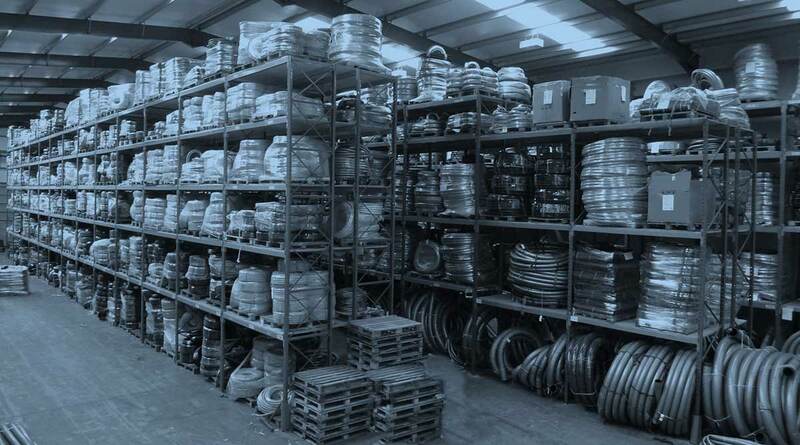 Our wide range of hose and tubing includes PVC, Polyurethane, Polyethylene, Polypropylene, TPU, Natural Rubber, PTFE, Viton®, Santoprene®, Hypalon®, PCTFE, Nylon, UHMWPE, LDPE, Silicone, Neoprene, Latex, Glass-fibre and Aluminium among others sourced for their high quality from around the world. We also offer excellent traceability for all of our products. For more information on our search engine, please view the brief tutorial at the top of this page or phone the above number and ask for a member of our technical team.